I’ve been collecting this brush pile since Dan Marsh and I burned the last one a year ago. 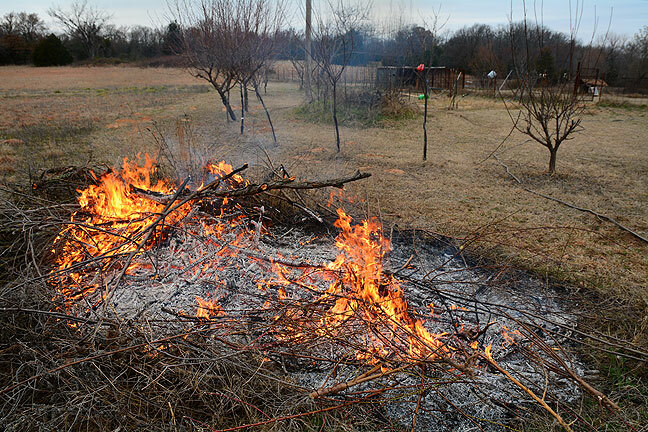 Mission accomplished: peach, plum, and cherry trees have all been pruned, and the the brush pile is smoke and ashes. 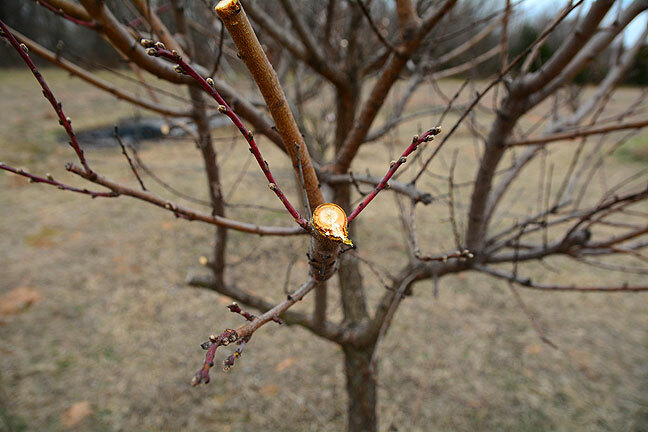 I spent the entire afternoon working outdoors, first cutting the bottom branches of Abby’s photinia, then removing the elm saplings from her Rose of Sharon, then in my orchard, burning my brush pile and at the same time pruning my fruit tress and adding those branches to the fire. Between all that, I feel quite tired, but very much like I accomplished something. 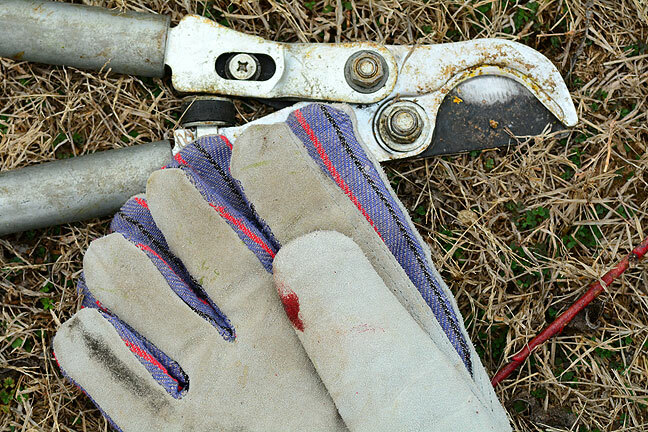 This is my lopper and my work gloves. Yes, that is a bit of my blood on the thumb. In fact, I’m scratched to pieces, but I consider it something of a trophy. Just like last year, I chose today because it’s turning colder and there is rain, followed by freezing rain, in the forecast. Before I started, I made Abby fried eggs and toast, then left her watching Netflix, but when I came in she was sound asleep in her recliner, looking angelic. As I write this, she is still asleep. 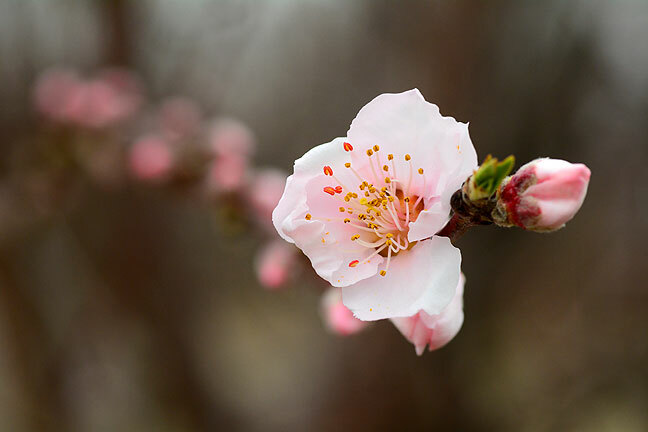 As is often the case, a stretch of warmish weather has deceived my peach trees into blossoming too early. I remember that brush-pile burn well.